In the past we have had an overwhelming amount of rentals, to the point we needed to add to the inventory in a hurry. So we made the long drive to New York to pickup a bunch of equipment. We are hoping to be able to accommodate your rental requests more effectively. Now we have the ability to schedule really big parties and fundraisers. 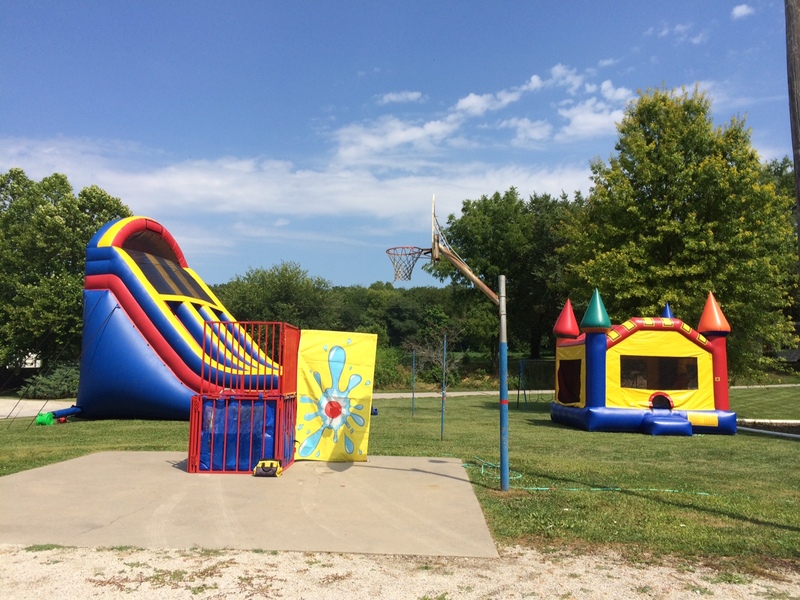 Featuring everything from bounce houses and combos, obstacle courses, slides and dunk tanks, and sport activities. Cotton Candy, snow cones, sand art, and spin art make great additions to the rentals. Go to this page for plenty of information on our new inflatable rentals that are available. Make your reservation soon. We don’t like to say “I’m sorry but that day is completely booked”. It seems we have to say that less and less these days, thanks to the addition of all the new equipment. I have to tell you though, there are some really hot days and squeezing anymore rentals into those days would be very difficult. Call before you confirm a day for the event, this will help us accommodate your needs. Bounce rentals make for a great party. Don’t be the one left holding the hose, call now to make your party rental reservation. Reserve a Water slide for your event as soon as possible! They are going very quickly we only have a few weekend slots left. We are trying to purchase another water slide just to keep up with the rental demand, but unfortunately it will be a few weeks before that may be finalized. Call now before they are all booked up. We also offer discounts for Sunday rentals as well as during the week rentals. A Thursday event can save you as much as $100 compared to a Saturday rental. Keep that in mind when planning your next group function or birthday party. We still have package deals available too! 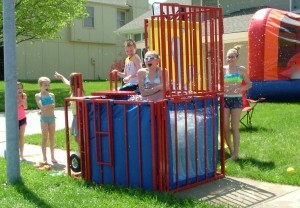 Combine the Water Slide with the Dunk Tank for some awesome wet and wild fun in the sun. 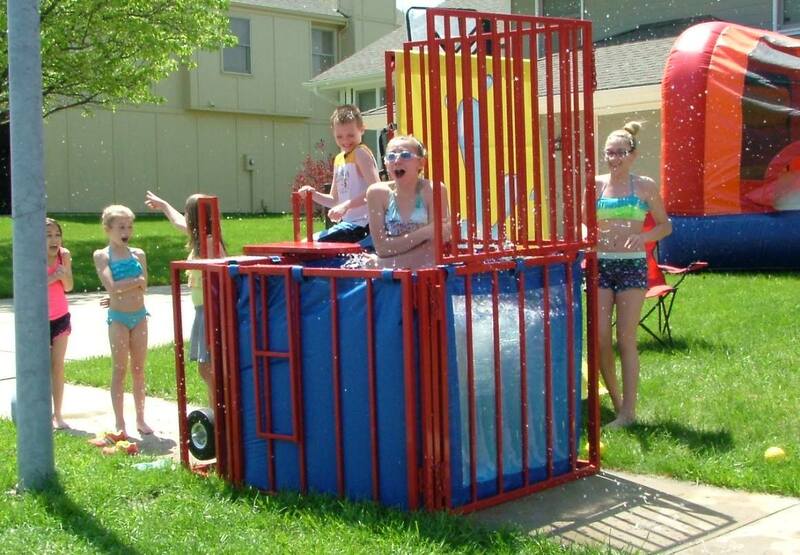 Normally the water slide rents for $400 and the Dunk Tank for $250, mention you read this post and we can put together for $600 total for Friday or Saturday, and $540 for Sunday through Thursday. We are really excited about the coming addition to the family. I think my kids will force me to set it up for them as soon as it arrives. That is going to be so much fun. We will just have to wait and see what they have in store for us. This Water Slide is going to be (how they say, “OFF THE CHAIN” or Hook or whatever.) You get my drift. Anyway, what do your kids want for their birthday party? The answer is simple. 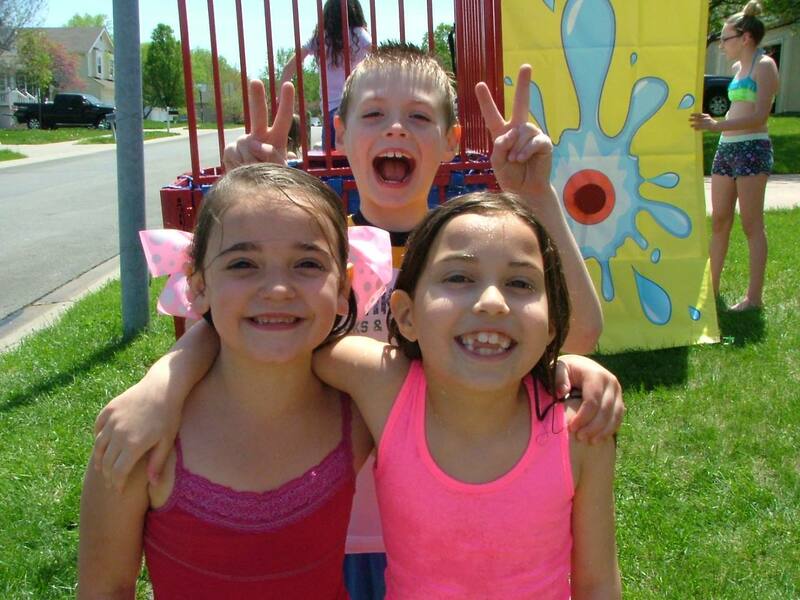 Water Slide – Water Slide – Water Slide – Water Slide – Water Slide – Water Slide – Water Slide – Water Slide – Water Slide – Water Slide – Water Slide – Water Slide – Give them the Water slide and they will have a party they will always remember. Snowcones are great way to keep the energy flowing properly and the kiddos cool while they ride down the exhilarating water slide…. street, or a couple blocks over for that matter. This water slide is no Veruckt, but compared to your little kids, it might as well be. Chomping down awesome snowcones and riding down that awesome water slide, over and over again without any 2 hours lines to deal with. 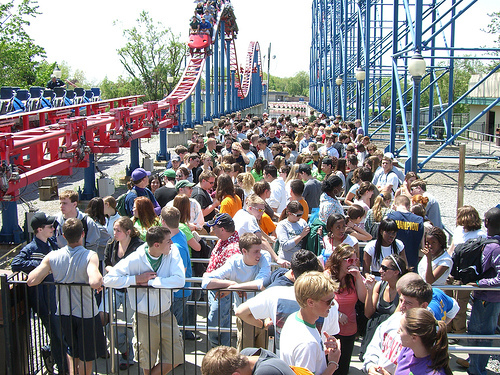 For crying out loud, there is nothing that drives me crazy more than spending $300 on tickets to a park where all everyone does is wait in giant lines. 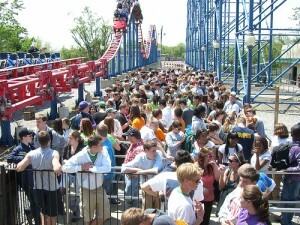 The last time we went to WOF/OOF, we were there for 12 hours, and didn’t have an opportunity to ride even 12 rides. Which I might add only last a few seconds to a few minutes, big whoop-dee-doo! Come out that place $500 lighter, sunburned, irritated and just ready for serious Air Conditioning and something cold to quench my near death dehydration. Bring the park to your house, enjoy your AC, fridge full of beverages that don’t cost $10 each, food that you can make on the BBQ for under $40 for the whole gang. Plan it right and you will be the talk of the neighborhood for weeks to come. Face Painter Brought in his AirBrush equipment and went to town with face and body painting for about two hours. A DJ was brought in to keep the energy flowing. The Giant Water Slide was setup to keep the fun in the sun, while the Dunk Tank was in the back making smiles, laughter and memories. While the little ones could bounce and tumble in the huge castle bounce house. Every kid had a snowcone and cotton candy in hand at some point throughout the day. The mess was intense, which means the party was incredible! Best 8 year old birthday party on record in Kansas City(at least my record)! Rent the right equipment and you can provide hours of fun and happiness instead of hours of waiting and misery! So it may be a hundred feet or so short of the world’s tallest, but seriously when you climb onto this 25′ Double Lane Water Slide a sense of vertigo may come upon you. Rent our Water Slide for an outstanding party. Kids love to climb up and down the Water Slide. 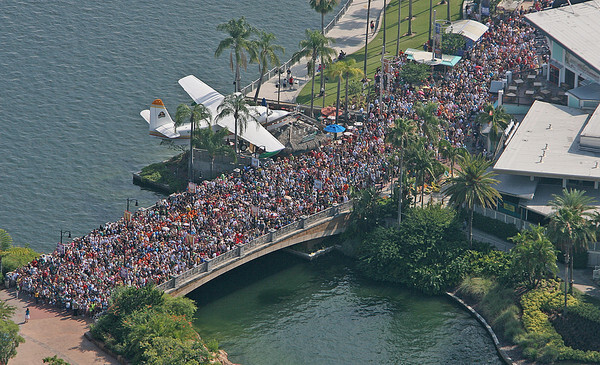 The best part of having a Water Slide at your event, there are no long lines to wait hours burning in the hot sun. Just climb up and slide down, over and over again. You come down this water slide so fast that many have reported doing a somersault as they collide into the wall at the end. This is only the first Water Slide we have to offer. We are expecting to have another Water Slide for rental sometime in July of this year. We are hoping to get a 17-18′ tall water slide, with an attachable 30′ long slip and slide that drop into a little pool. I think this kind of water slide would be the perfect rental for any party in Kansas City. As always I will let you decide. If you think I should buy the water slide described here give me a call and tell me you think so. If I do not feel a sense of demand for a unit I will not buy one. There is no reason to have a water slide that no one wants to rent here in Kansas City. Don’t miss out on this opportunity to voice your opinion on our next water slide rental purchase, unlike the political system, we actually listen and you CAN make a difference. You all voted in the Dunk Tank this spring, and we delivered. The Dunk Tank has been rented out over 10 times since joining our team. Kansas City People love to rent Water Slides and other Water Stuff for parties. We know it really help to get out of that brutal sun and into a nice cold misting water system and play until you drop. Upon request we can bring out a few mats for the end of the water slide, this may help from creating a mud pit in your yard, and help avoid kids getting hurt on the concrete as the exit and enter. The 25′ Water Slide is setup with safety as our number one priority. We place approximately 500 pounds of weight around the unit, including gusset tie downs that run from 3/4 high to the ground out at approximately 45 degree on either side. These support bags weigh nearly 100 pounds each, and are staked down to avoid slippage. With this amount of weight around the Water Slide we hope to prevent any kind of water slide wind related tragedy from occurring. Two weeks ago here in Kansas City it was very windy with winds topping out at 24 mph, we were very nervous about setting up our equipment, but when we arrived at the customer house, they insisted we would be okay. Their house happened to be located with large trees closely surrounding the property, our Giant 25′ tall Water Slide did not seem to be affected by the wind at all. It wasn’t until we removed the bags and began letting the air out did we notice the wind pushing on it hard from the back. This party went off without incident. We have a perfect record, 7 years accident free. We intend to keep it that way. With bigger and bigger inflatable slides and bounce houses becoming available, and being demanded here in Kansas City, Safety must be of the highest priority, bar none. If you notice the weather beginning to take a bad turn, consider rescheduling your party, or at the least make sure whatever inflatable rental company you happen to choose in Kansas City, has a perfect safety record and insist on extra sand bags and spikes. Together they are secured to the ground about as good as they can be. I know when I speak with the manufacturers and insurance companies they require 50 pound bags, that is completely inadequate in my opinion. The Heavier the Better! So the bags are very difficult to move, this is not a business for the weak, only the toughest can move the units and equipment efficiently. Sometimes we have to dig deep to load up the 700+ Giant Water Slide when it is time for a rental. Sometimes we have to do it alone, these are not nice days. As you can imagine 700 pounds of vinyl certainly fights back! We are always on the look out for motivated individuals that are interested in making a little extra money on an as needed basis. Considering this business is not a 20 hr or 40 hr a week kind of gig, but more of a 4 hr Saturday and maybe Sunday with the occasional weekday event thrown in there. Between Mark, James, Nick, and I we do fine handling the load, but one or two more could be just what I am looking for. So if you are a High School Senior or college student that would like to make some good money just about every weekend, give me a call. Remember very heavy lifting is required, if you can’t carry two bags of concrete 100 ft, don’t bother. Ever try to lift your car, because you thought you might be able to? You are the people we want. Just so you have an idea, cost for the Water Slide Rental to most of the Kansas City metro area is between $350 and $400, which includes delivery, setup, take down and pickup. If you are interested to coming to pickup and return the unit to us we can save you $60. This unit is booking quickly so DON’T wait to reserve it, it will be already claimed by someone else by the end of that day. Happens all the time. Weather is such a nuisance sometimes when it comes to birthday party planning. Bounce Rentals can make or break a party! READ ON! Weather can make or break a party! Surprise everyone already knows that. We are becoming a less sensitive to rain these days. Over the past couple years we realize that we have cancelled parties for rain that never came, far too often. I don’t know if we have toughened up a little or just have gotten tired of kids getting let down by a little rain. That being said, we can and will cancel parties if the weather is looking dangerous, or if you decide to cancel your party because of the rain/storms. In the past we have been very sensitive to keeping our units dry, this policy is becoming a little more flexible since our units have been getting rented out frequently enough to keep them dry after a good rain. Even if there is a little rain coming, don’t worry about it as long as the weather is warm enough. Think of it as fun slippery water party on some super cool play equipment. Let us worry about the mess on our units, a little water and dirt is no big deal. 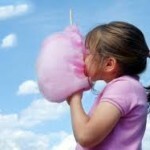 Our biggest concern is your childs’ happiness & safety on their special day! Call us to reserve your big party. Everyone wants to see that super surprise in their eyes, so don’t spoil the surprise. Keep it a secret, in most cases we can get your unit up and running in as little as ten minutes from the moment we arrive. And yes that means when you rent from us and have the unit delivered, we will do all the work. All the setup and take down in included with all delivered units. You never just find one of our units being dropped off for you to deal with. We take pride in being a full service party bounce house rental company in Kansas City. Check this site out for all your computer repair and virus removal in Kansas City. They can help you out with all your computer repair and virus removal needs. Everything from basic computer tune-ups to advanced laptop repair and server system upgrades and installation of entire complex office networks. My Geek USA is your source from professional computer help in Kansas City. 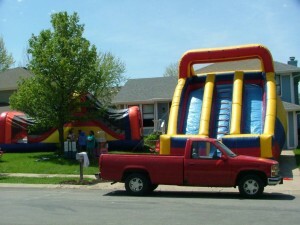 Bounce House Kansas City, Rentals and Parties are better with Moon Bounce Houses in Kansas City! Check us out for all the best party planning.